I don’t know if you’ve seen any of the new Volvo commercials which show off a new subscriptions service to the brand. It’s a new trend among premium car brands, where they’re offering customers the ability to subscribe to the brand as a whole, rather than just purchase or lease one specific car. The idea is that you pay a flat monthly fee and you get access to a variety of different cars that you can keep as long as you want or switch as frequently as you want. Among the brands that offer such a service are BMW, Mercedes-Benz, Volvo and even Cadillac. Now, Audi is considering offering a subscription service of its own. Although, with a catch. “A subscription service is something that is being looked at in general. It may or may not be tied to an electric car. But it’s an interesting aspect of the business many are announcing, and we look at it as a new area of business. I don’t have a specific, concrete announcement at this point, but I wouldn’t say it would only be relevant to an electric car,” Filip Brabec, VP of Audi Product Management, recently told Digital Trends. So Audi is thinking about jumping into these waters but it might only be for upcoming e-tron models. Which makes a lot of sense, to be honest. Electric cars are almost always leased, with customers not wanting to be tied down to them and also wanting to take advantage of attractive lease deals and tax incentives. We don’t know how Audi plans on implementing this subscription-based service, if it does so at all, but we do know that it’s at least being considered. 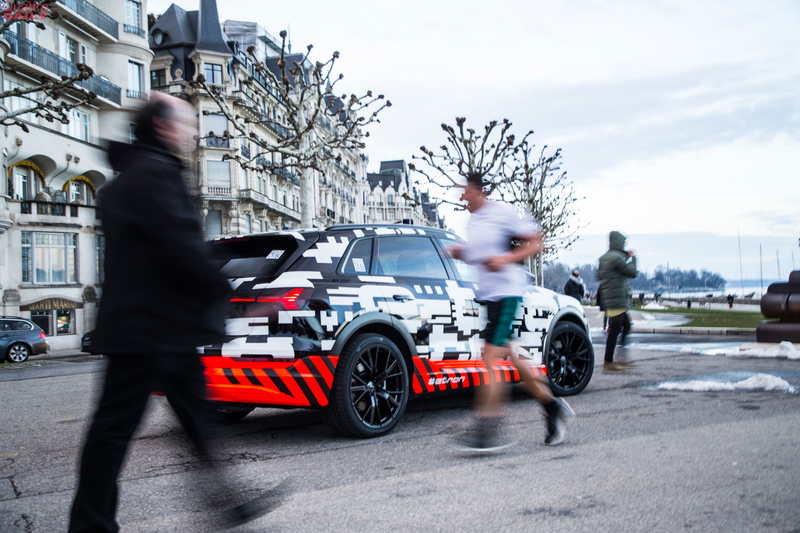 Audi will also be offering OTA (Over-the-Air) updates on its upcoming Audi e-tron. OTA updates are similar to those you’d get on your smartphone. You will get a notification that a software update for the car is available, which can change everything from specific features of the car to actual charging capabilities, and then you choose when you want to update. It typically would do so overnight, while you’re asleep. Tesla was the first brand to debut such an update system and its customers seem to really appreciate it. It also helps considerably with autonomous driving, as new features and fixes can be implemented on every single car on the road, instantly. But Audi also feels that this could be viable on regular gasoline and diesel cars as well.“We will be looking [at the over-the-air updating system] for a number of cars. I think there is some future to this. There needs to be a clear offering logic to the customer, and we think we have a pretty good concept with which we want to move forward. I would say it’s not just for electric cars. This will definitely be relevant to other vehicles. It makes sense to do certain updates over the air for cars with an internal combustion engine, too,” said Brabec to DT. So Audi is making big moves in the automotive world and there will be some big changes coming. We’ll know more after the Audi Summit, which will be in Brussels this coming August.